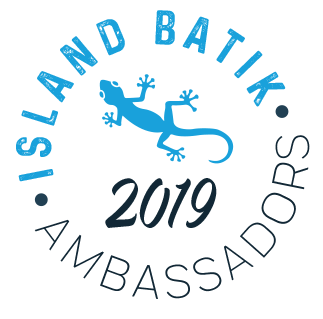 As I have mentioned previously, I applied to be an Island Batik Ambassador for 2019 and was accepted to the program. 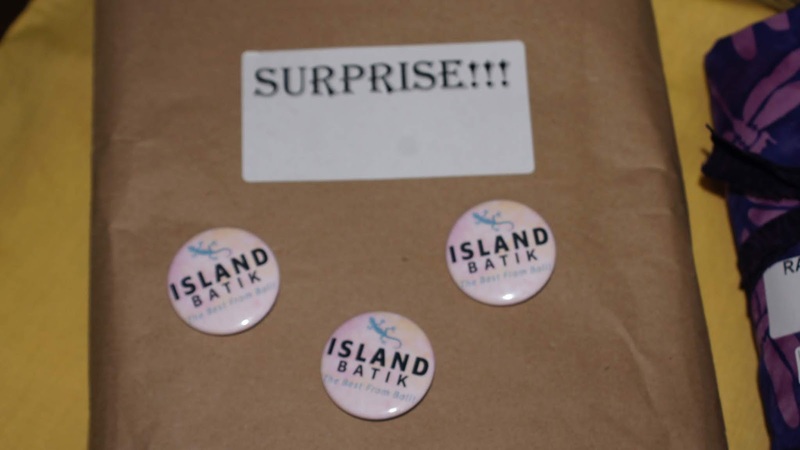 Island Batik is "The best from Bali." The fabric is outstanding. In a few days I will be showing you my first project as an ambassador. Full Disclosure: Island Batik along with partners, Hobbs Batting, Aurifil Thread and Accuquilt have provided the items I received free of charge as an Ambassador. 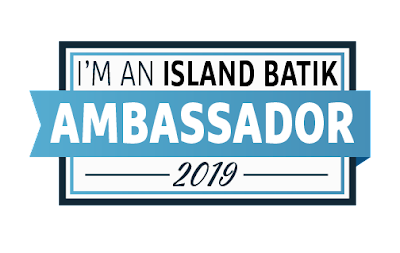 I will also say that I have purchased and used products from all of these companies prior to becoming an Island Batik Ambassador. 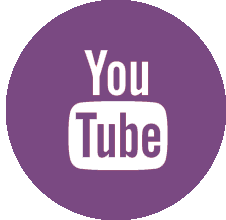 So now, enjoy watching as I unbox the lovely items I received from these sponsors. I also have some nice still photos of my amazing "haul." The table is FULL of happy possibilities. Go! Cutter, Go! 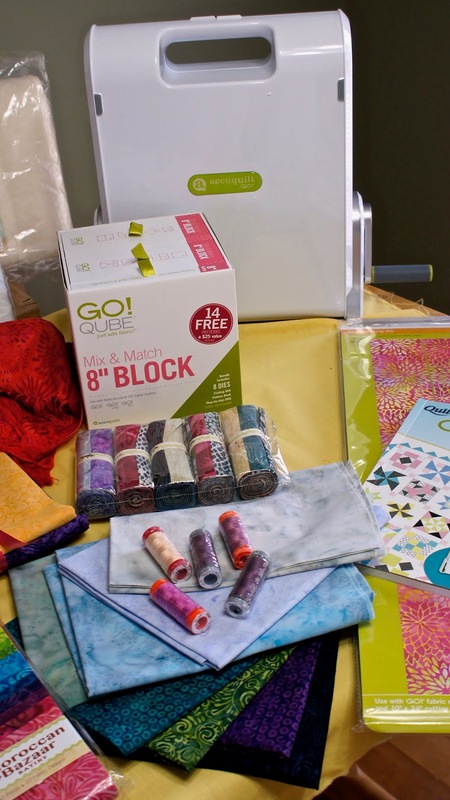 Qube, Island Batik Fabric, Aurifil Thread. will be part of my August Blog Hop post. Neutrals in Gray/Black/White and more. Look at the lovely red rayon scarf. Batting Galore from Hobbs Batting. 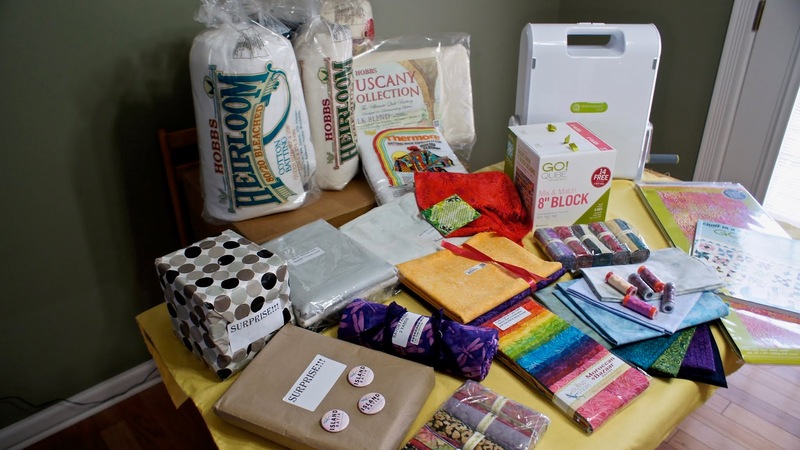 This year should be a time of productivity and growth for me as a quilter. I hope you will come along for the ride. Comments are welcomed. I will reply when possible. Of course if you are a "No Reply Blogger"- I can not reply. Links in comments will result in the entire comment being deleted. 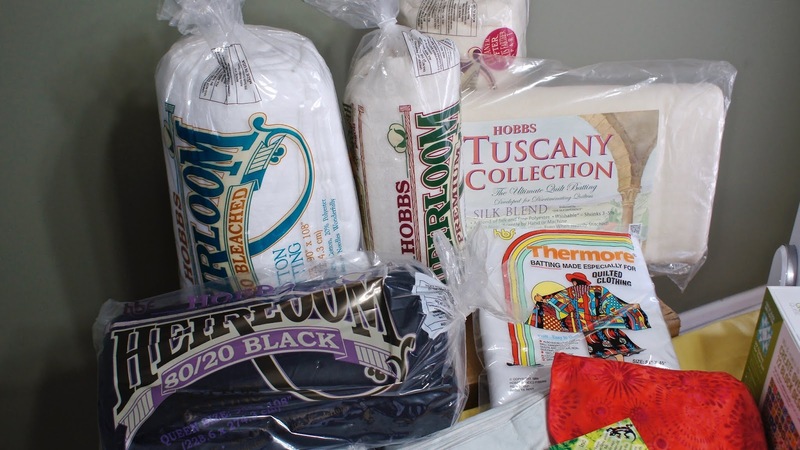 Wow that IS a haul. Lovely stuff. I can imagine you are in heaven. If anyone deserves all of this, Gene, it’s you! IB is counting on you to make good use of it all, and so are we. No pressure, now...lol. 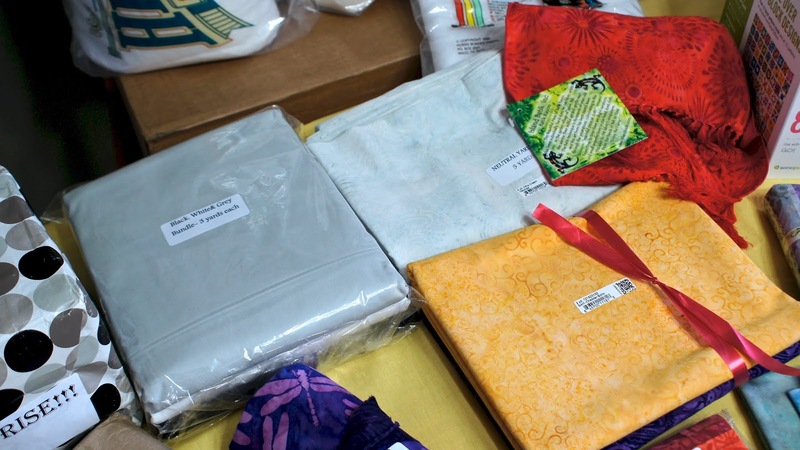 What a fun package with all those bright fabrics and things. I wanted to apply this year, but I knew I would't have the time. Maybe by next year. Have fun creating! Congratulations Gene! Well deserved and I look forward to your posts! Thanks for sharing. The video was a nice touch. You will love the silk batting. 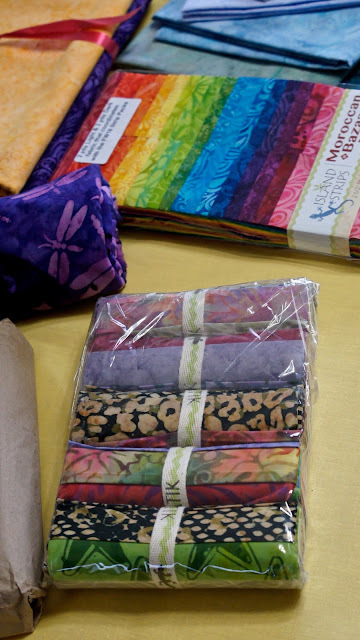 It can be quilted heavily and still drape. Look forward to seeing your projects as always. An official welcome to the club! So looking forward to this year (and getting caught up!). I can't wait to see what you create, and I know you will have a ball with all those goodies we received. AWESOME!!!!!! Cant wait to see your projects. Hi Gene....I know you only as someone who comments on Wanda's website, but I wanted to congratulate you on becoming an Island Batik ambassador, and, of course will subscribe to your blog so I can see all the beautiful projects you are creating. That is quite an honor, and you must be very happy that you were chosen. 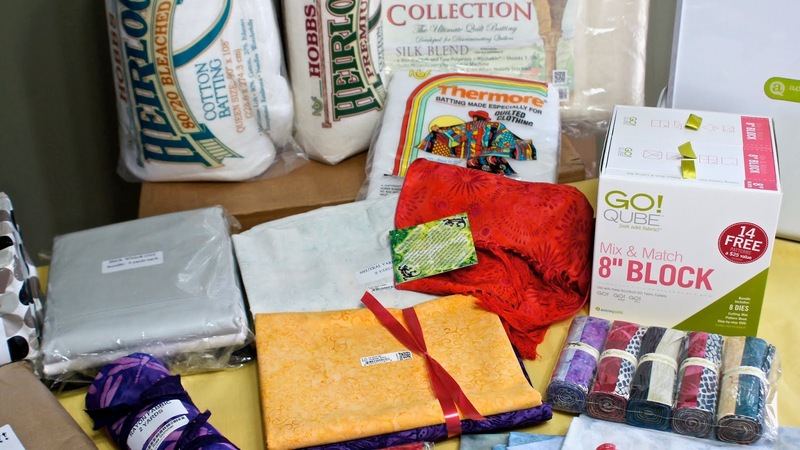 Of course, getting those boxes full of goodies isn't too shabby either. lol Have fun!!! 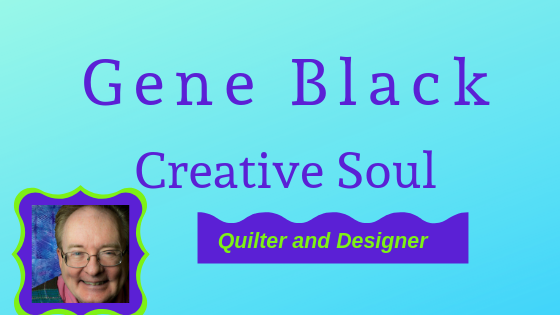 Congratulations Gene looking forward to seeing what you will create.